The week for Palatine started with the village council members voting to once again open discussions regarding the legalization of video gambling. The vote took place following a request filed by Dave Gagner, owner of a bar situated in downtown Palatine, to reconsider the previous opposition to video gambling legalization. Now, the village council members have revealed plans to restart discussions on the matter, which if successful, could lead to lifting the ban on video gambling services offered at restaurants, bars and other establishments there. As mentioned above, the council voted to resume talks on the issue which were tabled in June 2017 after a long-time opposition to the machines, also known as VGTs. Village Manager Reid Ottesen revealed that a proposal on video gambling is set to be ready in advance of a scheduled council discussion for May 13th. The meeting in May is to be focused on the video gambling issue. He explained this would provide both proponents and opponents of the issue with enough time to review the documents and give their feedback on the matter. Apart from that, Ottesen also explained that there was nothing before the council at the time when the previous discussion took place, which is why having a formal proposal at the May 13th meeting would be useful for all participants in the talks. An advisory referendum on video gambling was held in April 2015, with more than 60% of Palatine voters saying “no” to the addition of this form of gambling to the local gambling market. Still, the issue was brought into the spotlight every now and then since that vote. Legalization of VGTs in Palatine was previously supported by representatives from JL, Lamplighter Inn Tavern and Grille and American Legion Post 690. Under the provisions of Illinois state law, restaurants, bars, convenience stores, truck stops and other establishments in local communities which have permitted video gambling can have no more than five slot machines. VGTs can be accessed only by customers who are at least 21 years old. Such establishment pay gambling tax on their video gaming revenue, with 5% of their net revenue going to a municipality, and another 25% are contributed to state coffers. The remaining part of the net video gaming revenue is split between the establishment and the machine’s operator. 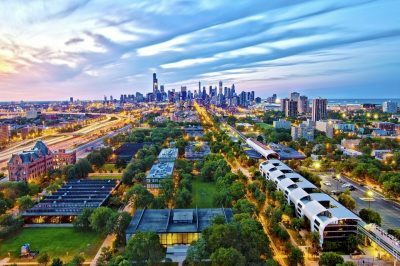 Mount Prospect became one of the biggest local suburbs which gave the green light to video gambling services in 2018. In September, the first video gambling terminal in Rolling Meadows started operation at Stadium Sports Club & Pizza, and the first liquor license in Mount Prospect was given to Pap’s Ultimate Bar and Grill in December 2018. 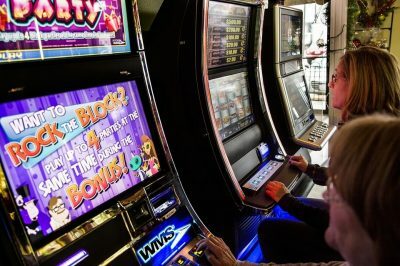 Other villages in the Northwest suburbs which have already added video gambling to their gambling markets are Lake Zurich, Buffalo Grove, Long Grove, Wheeling and Hoffman Estates. Others, such as Deer Park, Inverness, Kildeer, Barrington and Arlington Heights, still do not permit video gaming terminals.